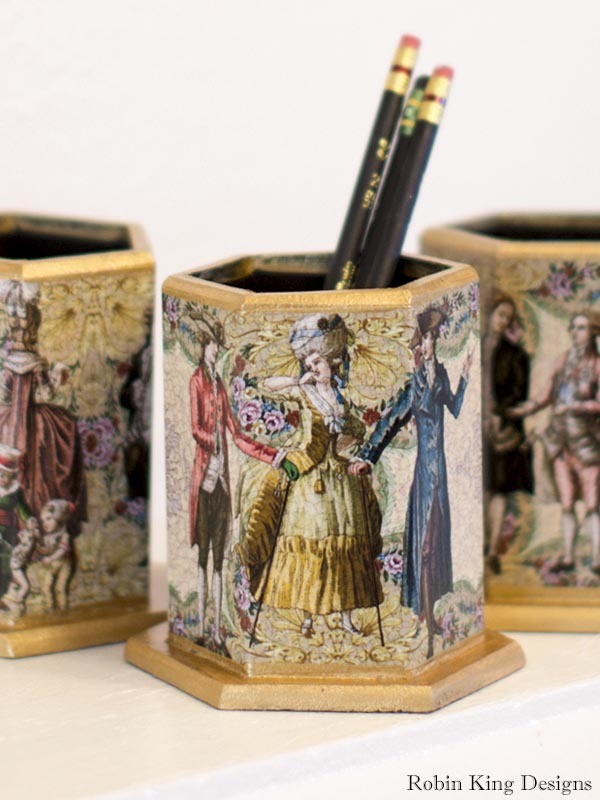 This pencil holder is 4.5 inches tall and features different examples of 18th-century fashion. Perfect for pencils, pens, makeup brushes and more. Each decoupage holder is made to order and signed by the artist. Free shipping in the USA.